Our Woodlands eye care office is conveniently located across the street from The Woodlands Mall, in the Pinecroft Center next door to Bed, Bath, & Beyond and Best Buy. If you are needing Woodlands eye care services, we gladly take walk-ins, but strongly recommend that you make an eye appointment in order to reduce your wait time to see our doctor. 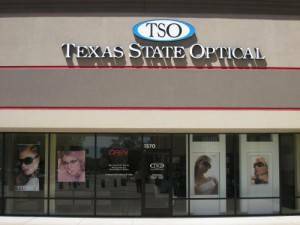 Patients needing only optical services are welcome to just drop in anytime to browse through our large selection of designer eyeglass frames or sunglasses. 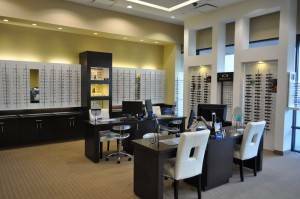 Our Woodlands optical team is eager to help you at anytime! Serving the Woodlands, Spring, Conroe and Magnolia area. Please apply to CareCredit here. Contact our Woodlands eye care staff to book or request an appointment by filling out one of the forms below. Or email one of our eye doctors with your questions or concerns. We look forward to hearing from you. Please take your time to review the following documents.